Here your can click on the picture and view information now or add the product to an enquiry list and receive the information altogether to view at your leisure. Prices exclude delivery and VAT. Please contact us for a quotation. 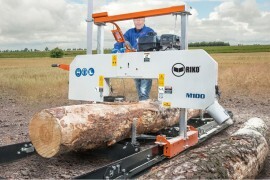 Professional Bandsaw Sawmill for converting timber / logs into planks, beams, battons, slab wood etc. 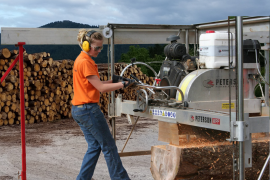 to produce all manner of timber based products such as: fencing, fence panels, fence posts, trellising, decking, garden gates, seats, picnic benches and tables and much more.